In this tutorial I will show you how to read others WhatsApp messages without their knowledge. Do not use this trick in any harmful way to others. This trick is only for educational purpose. There are two ways to do this trick. Using the first trick you can open others WhatsApp message on your phone. For that, follows these steps. Step 2: Copy these files from the victim's phone to your's using Wi-Fi, Bluetooth or via a PC. Step 3: Backup Your Whatsapp files. And paste the files inside this folder. 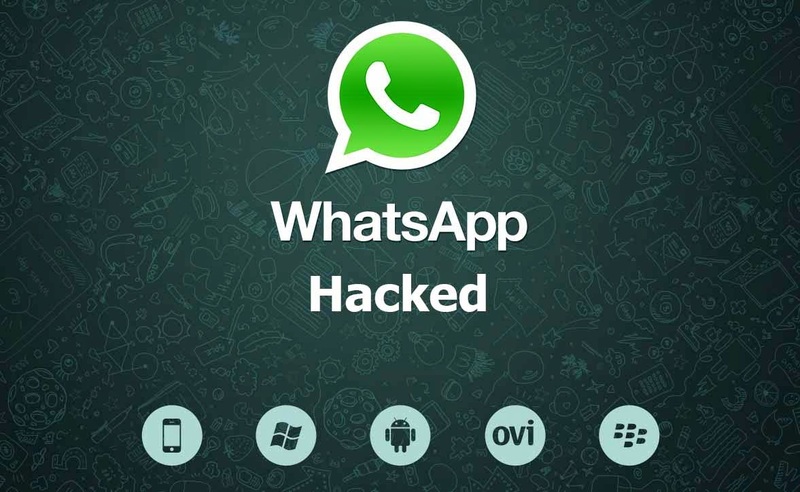 Now you can read victims messages on your phone using WhatsApp. If you want to open messages on a PC follow these Steps. IMPORTANT!!!! For this Trick you need victims e-mail ID. Step 1: Copy the 'msgstore-yyyy..dd..db.crypt' and 'msgstore.db.crypt' files to your PC.First thing we should do is to decrypt the file. Step 2: First thing we should do is to decrypt the file. For that click on the button below. Step 3: The link will lead you to a site known as WhatCrypt Tools. Step 4: Click on 'Decrypt Whatsapp Database'. Step 5: Provide the E-mail ID and upload the Whatsapp database file. Step 6: Wait for a while. When your file is ready download it. Step 7: Now you have successfully decrypted the database file.Now we have to find a way to open and read the data. Step 8: Download a software SQliteAdmin from the link below. Step 9: Extract files.Navigate to SqliteAdmin-Techdio.com→sqliteadmin and run the application 'sqliteadmin'. Step 10: Select the desired language. In the menu bar, click on 'Database' and select 'Open' or press Ctrl+O. Step 11: Now locate to the decrypted database files and open the 'msgstore' file. Step 12: On the left side, click on “Tables”, and below the 'messages' click on “_id”. Now you are able to see the victims messages. If you have any doubts, feel free to contact us or leave a comment below. For all your spy and hack related needs and services; find (hackerlounge.net) online for help as regards cheating partner cases, if you need to recover and retrieve lost or stolen password, spy and track on anyone, track and monitor any GPS location, remove unwanted content from the internet, server penetration, change and boost exam scores and grades and lots more; virtually all spy and hack related services; they are the best, services rendered is 100% guaranteed. They provide help and solution to it all. I dont really know much about hacking after so many tries i met Cyberhacking lord who later help me find out my husband has been cheating on me and stealing from my bank account, he had this scheme going for 6 months. He gave me access to his mail,social media account,phone(could see deleted messages) and even track his location, still going to sue to him. Having doubts in your relationship? contact him (cyberhackinglord@gmail.com).